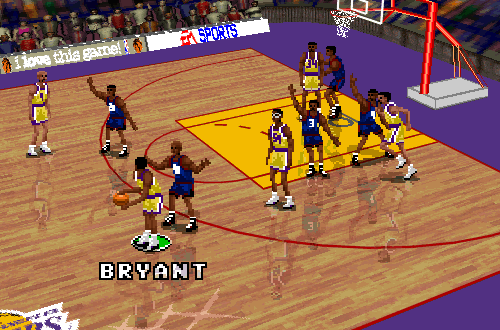 Obviously, it was very nostalgic to dust off the NBA Live 96 Editor, and mod an old favourite. At the same time, I was reminded of all the limitations. The Free Agent Pool in NBA Live 96 only contains fourteen players, the same number of roster slots on all of the 29 NBA teams. As such, I had to pick and choose when it came to a few players, leaving a couple on the free agents and others out of the roster entirely. I also had to overwrite quite a few players, since there is a limited amount of slots to create new ones. Funnily enough, it’s the same issue that I’m facing with my attempt at an NBA 2K11 update. Revisiting this project has got me in the mood to keep tinkering. Back in the day, resources were far more limited. Finding info such as where players were born wasn’t easy, and I often resorted to magazines and even trading cards. With Basketball Reference now at my disposal, I was able to look up all that information, as well as check transactions, positions, rotations, and so on. As a result, it’s a more accurate 2001 roster than I ever could’ve created at the time! I’ve also gone through the Definitive roster – which is for the 1996 season – and made sure that everyone’s appearances are up to date. Once again, this is much easier with the resources that are available now, namely Google Image Search. I will say that updating these projects took a bit more time than I expected. Once I got started updating appearances in the Definitive roster, I found that I wanted to make sure I covered everyone. After I discovered how many players were missing their correct place of birth in the 2001 roster, I also wanted to make sure that I fixed their data. I also chose to switch a few players around in the 2001 roster so that they were using someone else’s portrait as a placeholder. I even had to undo some of my previous work, as I’d overwritten Scott Burrell and Tony Smith, and needed to add them back as they both ended up returning to the NBA that season! Although I’m still aiming to get some other projects for newer games done, it’s quite a satisfying feeling to finish off old mods and make them better than they ever could’ve been back in the day. Look out for some other revamped releases in future Wayback Wednesday features, as I’m sure there are a couple of others I can dust off and fix up. In the meantime, don’t forget that you can grab the Definitive roster here, and the Complete 2001 Update here. If you need help getting NBA Live 96 to run under DOSBox, check out this tutorial in our Wiki.